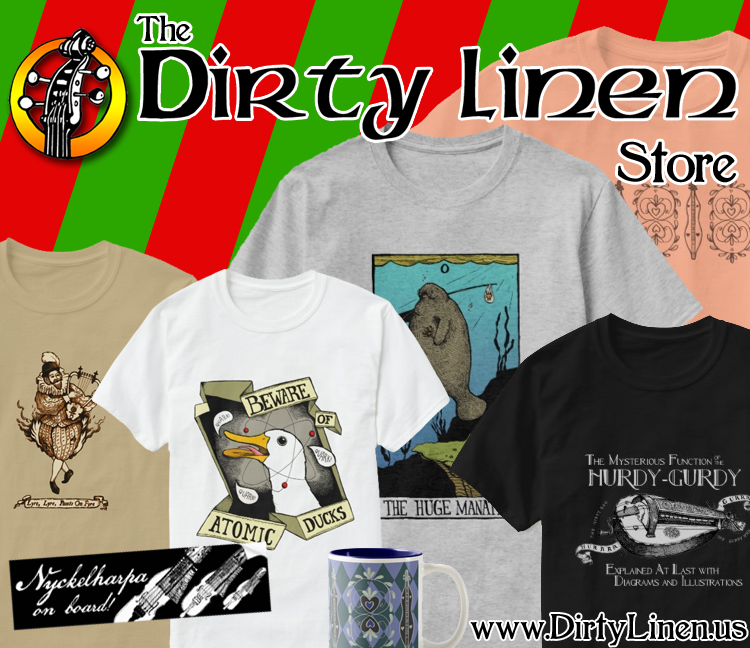 Excerpts from the new issue of Dirty Linen, #145 January/February 2010, have been posted on our website. 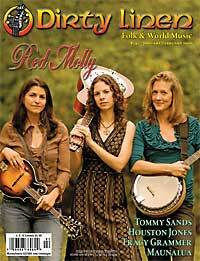 Red Molly, Tommy Sands, Houston Jones, Tracy Grammer, Maunalua, The Folk Brothers: Jack Hardy & David Massengill, Blue Moose and the Unbuttoned Zippers, John Denver: Around the World Live, concert reviews, recording reviews, book reviews, DVD reviews, Wee Folk, and news. This issue was mailed to subscribers on November 13 and will be on newsstands December 8.